"It’s this isolating colony of hell where people having breakdowns is a regular occurrence." Note: This article includes discussion of mental health and suicide. Amazon’s warehouses are notorious for their poor working conditions. 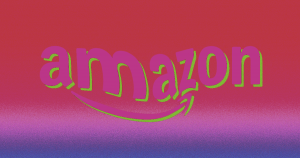 Now, an investigation published by The Daily Beast on Monday suggests that Amazon’s arduous working conditions have driven numerous employees to the brink of suicide — and there’s little to indicate those conditions are getting any better. The Daily Beast report uncovered 189 calls to 911 between October 2013 and October 2018 from 46 Amazon warehouses. Each call was to request emergency services’ help with an employee’s mental-health episode, including suicide attempts and suicidal thoughts. The outlet published the disturbing details of several incidents — including Amazon employees threatening to stab themselves, drive their cars off cliffs, or throw themselves from third-story windows — and while not every episode could be directly attributed to Amazon’s working conditions, several employees and former employees The Daily Beast spoke to made that connection. The physical and mental well-being of our associates is our top priority, and we are proud of both our efforts and overall success in this area. We provide comprehensive medical care starting on day one so employees have access to the care when they need it most, 24-hour a day free and confidential counseling services, and various leave and medical accommodation options covering both mental and physical health concerns. The situation for Amazon warehouse employees doesn’t appear to be improving. Just last month, Business Insider published an investigation featuring interviews with more than 30 Amazon employees and former employees about their experience during the 2018 holiday season. “Through the interviews, a picture emerged of grueling long hours, physical labor, fears about taking time off, workplace injuries, and the pressure to keep the wheels turning, even when the weather is treacherous,” wrote journalists Isobel Asher Hamilton and Áine Cain. Amazon did recently increase employees’ base pay to $15 per hour, but it doesn’t appear poised to make any sweeping changes that would improve working conditions. Employees might be able to force Amazon’s hand if they could unionize, but right now, that’s not looking likely — meaning we could see more Amazon employees pushed to the brink of mental collapse in the future. If you or a loved one are facing depression, mental health services are available to help. Contact the National Suicide Prevention Lifeline here or at 800-273-8255.